Never pictured yourself in a townhouse? That's because you haven't seen this like-new 3 BR/ 2.5 BA brick townhouse with 1-car garage yet!! End-unit with tons of windows/natural light! So much square footage (1,833 SF) for the money, and immaculately maintained! 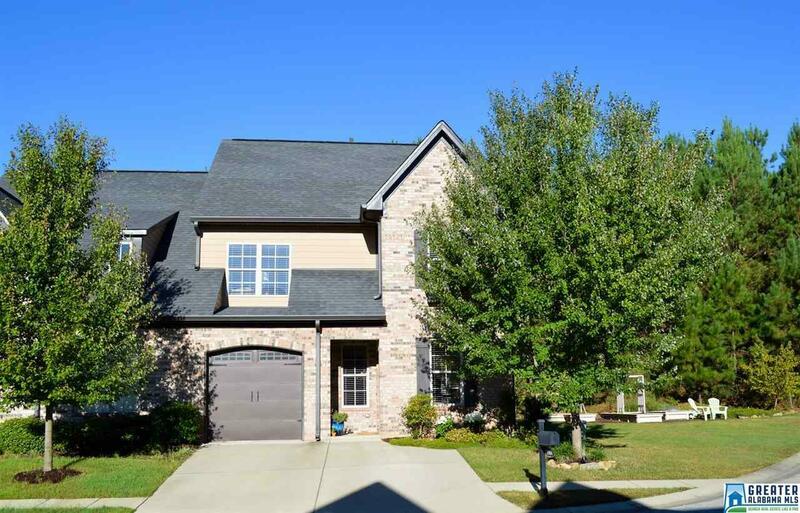 Hardwoods, vaulted ceiling, granite countertops, stainless appliances, blinds on every window, gas log fireplace, all bedrooms up - no running up & down the stairs when little one calls out. LR with separate dining room - the stairs are tucked away rather than right at the front door. Arched doorways, breakfast bar, pantry, the list just goes on! Situated in a cul-de-sac, there is ample room for guest parking, and when you see the back yard, you will know why there will be a lot of entertaining going on there! Large patio, stunning waterfall, fire pit, and amazing side lot with raised-bed gardens! Utter privacy for morning coffee, romantic dinners or entertaining. Minutes to UAB, shopping, restaurants, Avondale breweries, etc. Listing provided courtesy of Md Realty Llc. © 2019 Greater Alabama Multiple Listing Service, Inc.